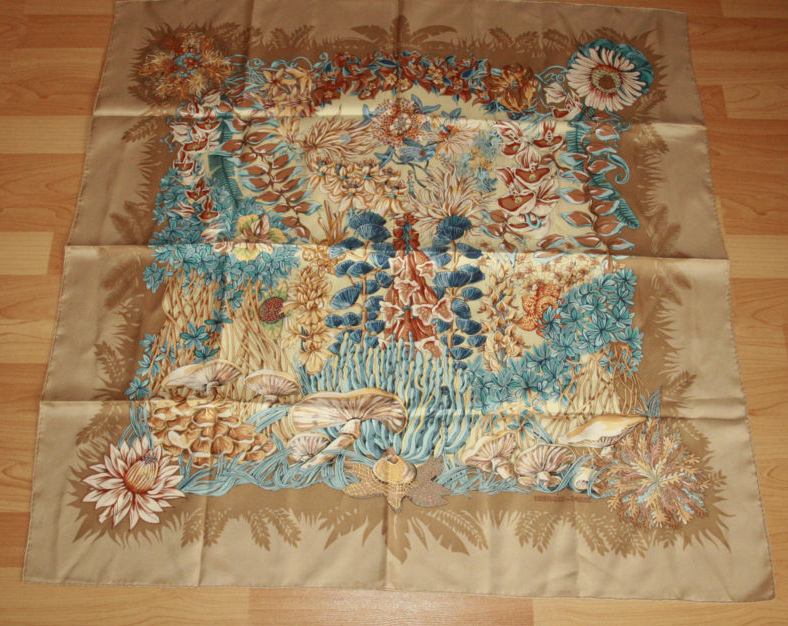 Hermes L’Ile Deserte Scarf! | Whatcha Find? 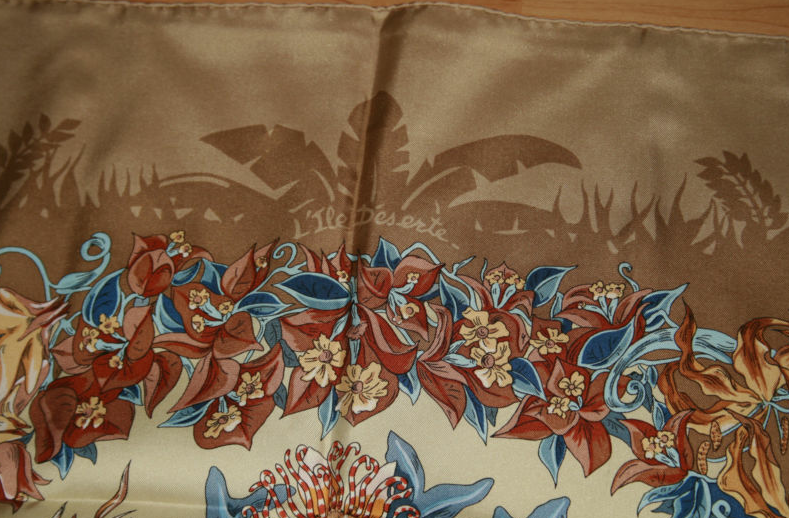 Believe it or not… ANOTHER thrifted Hermes scarf!! 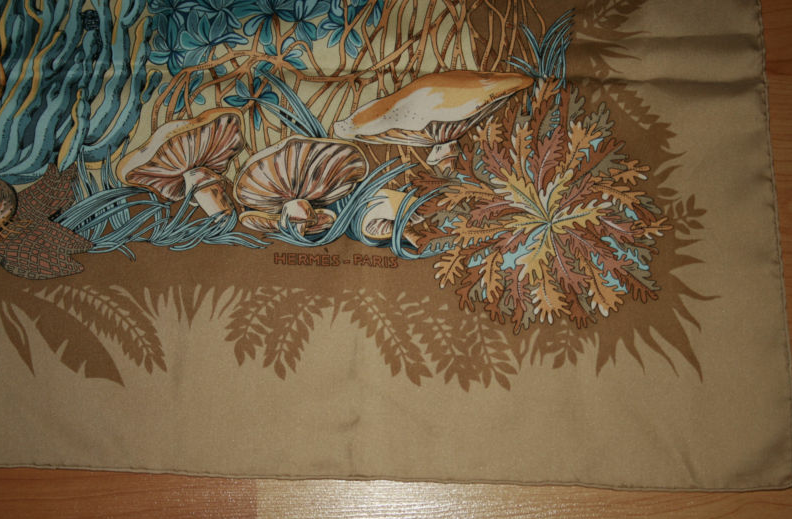 This beautiful silk scarf was designed by Annie Fairve in 1998 and is called L’Ile Deserte. 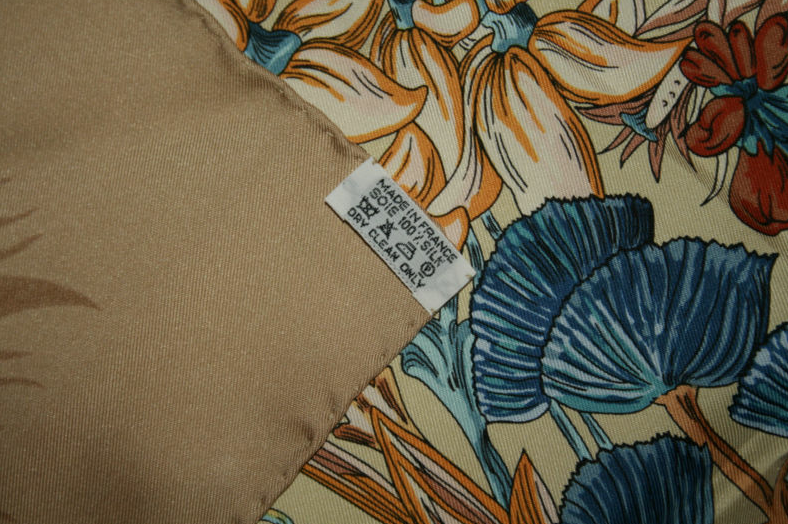 Made in France, it is stunning, and in perfect, new condition! We paid $1.99! 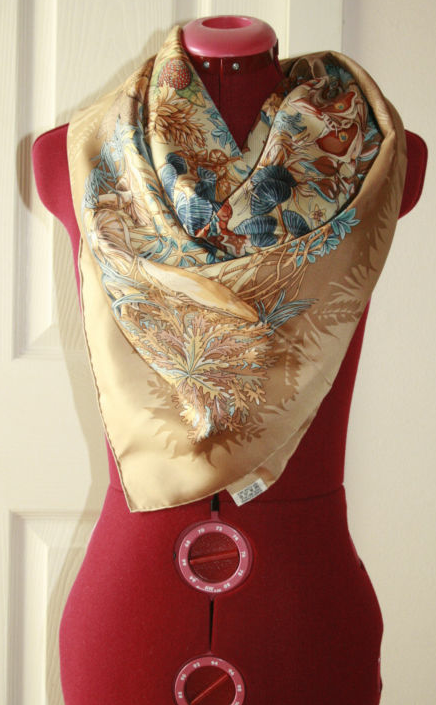 These scarves always cause heart palpitations! Is there a recommended list of shops you suggest visiting in the vancouver area? I would also like to know as well!! All the one’s i’ve been to are pretty crappy!